Thank you Norah Colvin at readilearn for having me as a guest. I’m so glad you asked. It was a pleasure. 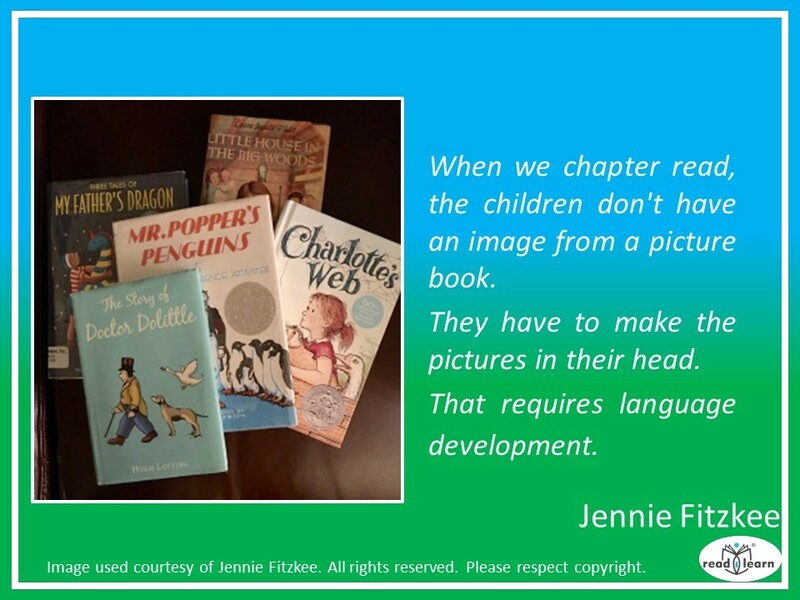 I’m sure you’ll agree that there is much more we can learn from Jennie. Fairy tales seem to spark the most conversation. It’s no wonder that Jack and the Beanstalk, and The Three Billy Goats Gruff are consistently books that bring words to life, and turn a magical golden key to open imagination. The world becomes an ocean and children sail with abandon. 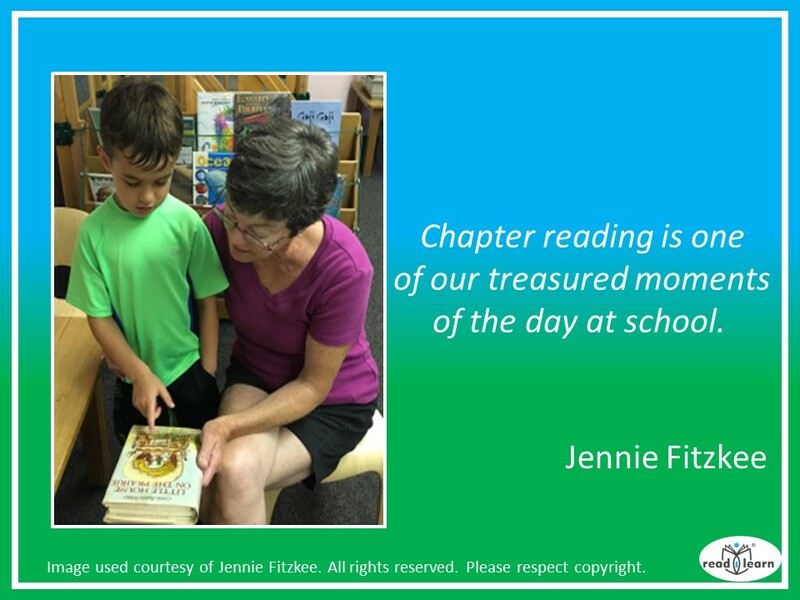 Learning can happen unexpectedly, and reading aloud is often the catalyst. 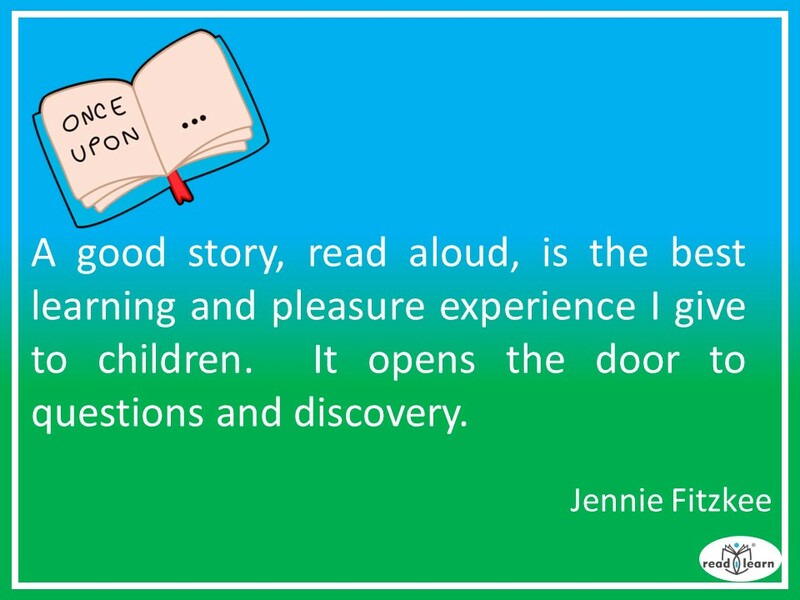 Children don’t need to sit and listen to a book in silence. 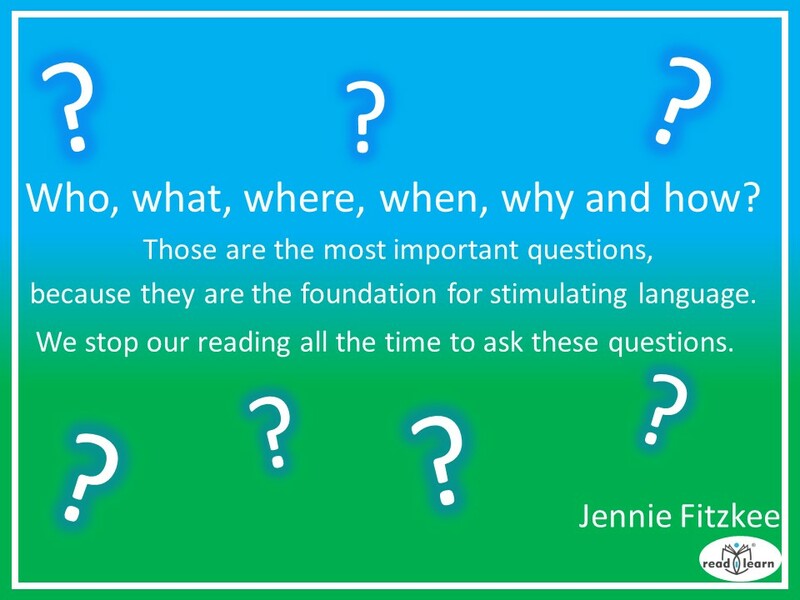 Asking questions is a good thing! This entry was posted in books, chapter reading, children's books, Early Education, Imagination, Jim Trelease, picture books, reading, reading aloud, Teaching young children and tagged chapter books, chapter reading, Early Education, emergent curriculum, guest post, Jim Trelease, language development, literacy, Norah Colvin, reading aloud, reading books to children, The Read-Aloud Handbook. Bookmark the permalink. Love this post Jennie. You know how I feel!!! 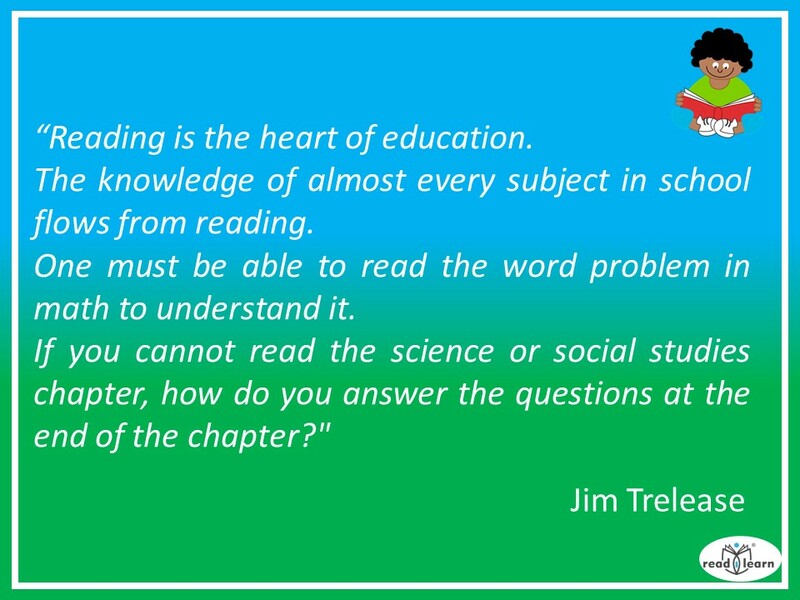 I remember most, the teachers (and Sunday School teachers) who read to us. Especially the ones who weren’t afraid to show their own excitement. And that excitement stuck with you. I rest my case. 🙂 Thank you, Dan. 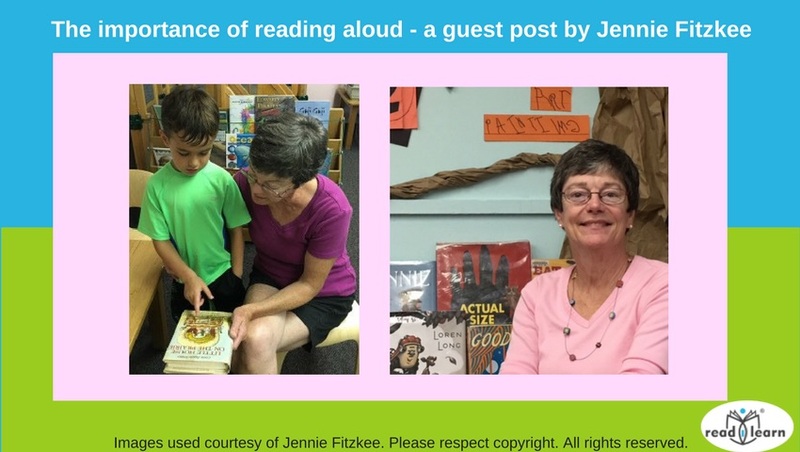 This is so important and you do such a great job of promoting reading aloud. At a staff Christmas party a few years ago, our Executive Director read to us after the meal. It was the best Christmas gift he could have given us. You could have heard a pin drop as we all listened like children. Thank you, Darlene. I love your Christmas party story! 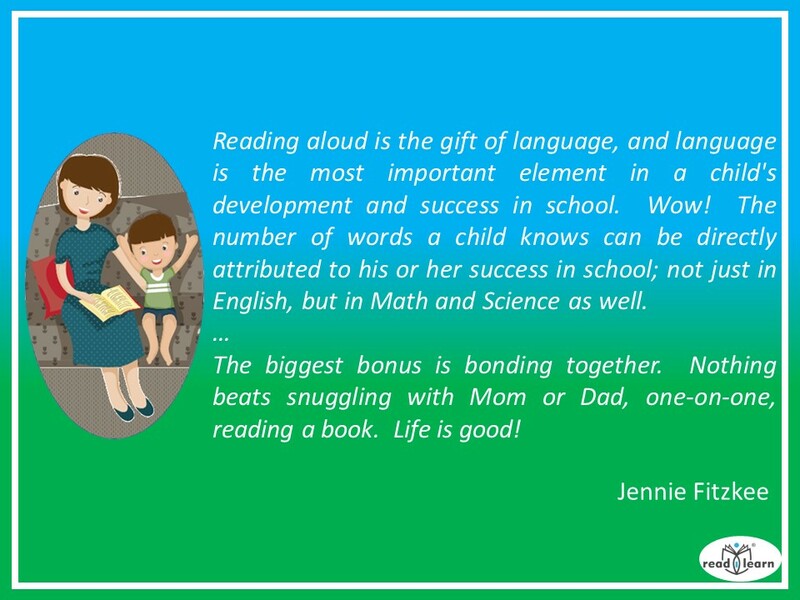 Reading aloud is so important. I wish I had been one of your children, Jennie. I more or less taught myself to read as I was so desperate to read books. My teachers at the time were not encouraging or helpful. I taught both my boys to read too and always read to them [I still read to Michael most days]. My teachers were no help at all, either. They just wanted me to learn the words. There was no heart, no fun. I sometimes think about brave teachers back then who used the Dr. Seuss books to teach reading. All that rhyming would have been wonderful, at least for me. I envy you, as I still have to push myself when reading. Your boys have such a leg up on the world, thanks to you. Thank you, Robbie. Thank you, Norah. You put the wheels onto my engine. It is such an important message to share. It is an important message, Jennie. It can’t be shared too often. I have very fond memories of my dad reading to me before bed. 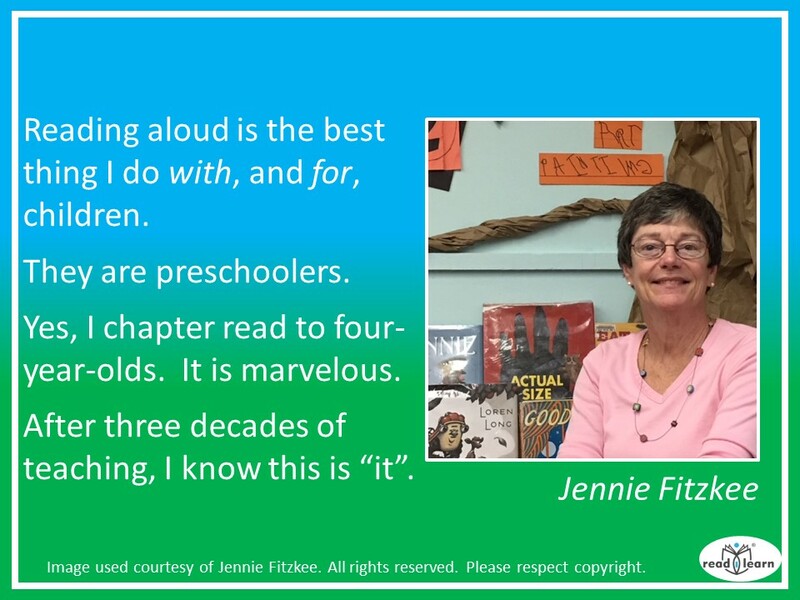 What you write about the amount of words a child knows being so important is absolutely correct. 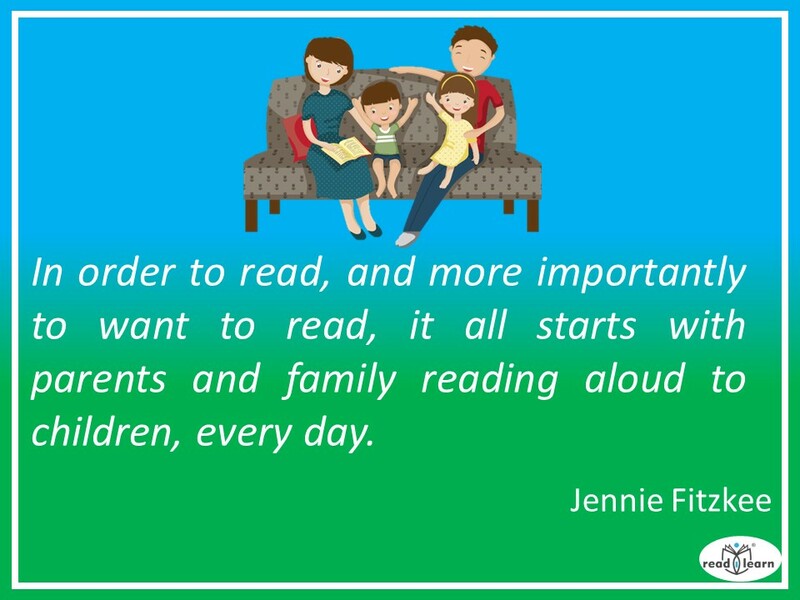 I read a recent study that reported that children who were read aloud to a lot at home started school having heard around 1.4 million more words than those whose parents did not. That must have massive impact on their vocabulary and knowledge! Thank you! And, you are spot on. Those children who start school behind in the number of words they have heard struggle to keep up. The impact is massive.